Aerial view of Fenway Park located in Boston, Massachusetts. Art is 16x16 and available framed in real wood & glass or print only. Great gift for the Boston Red Sox fan! Fenway Park is home to the Boston Red Sox. The stadium was built in 1912 and has a max capacity of 37,949 people. The distance to center field is 420 feet. Image size is 13" x 13"
Overall frame size is 19" x 19"
Great wall art for the baseball player, coach, or lover of the game. 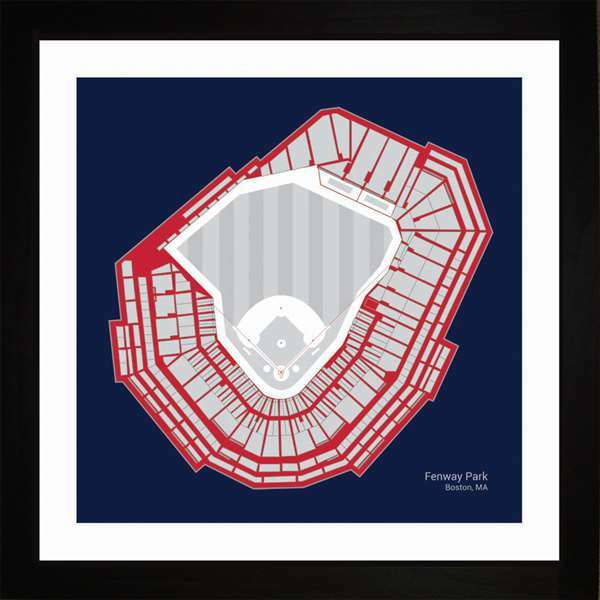 Print displaying an aerial view of Fenway Park, home of the Boston Red Sox.